Wisconsin Republicans are insisting that they didn't intend to allow corporate political donations to remain secret under the recent overhaul of the state's campaign finance laws. But secrecy, in fact, has become the distinguishing characteristic of Wisconsin elections. And that is by design. Sweeping campaign finance changes signed into law by Governor Scott Walker last month allowed corporations, for the first time, to donate up to $12,000 directly to "segregated funds" created by political parties and legislative leaders. Yet the law didn't address disclosure of donations to (and spending by) those newly-created segregated funds, creating an apparent loophole allowing parties to keep their corporate contributions a secret. "That was clearly not our intent," claimed Assembly Speaker Robin Vos, who previously asserted that an overhaul of the state's campaign finance limits was necessary to bring "clarity" to the law. 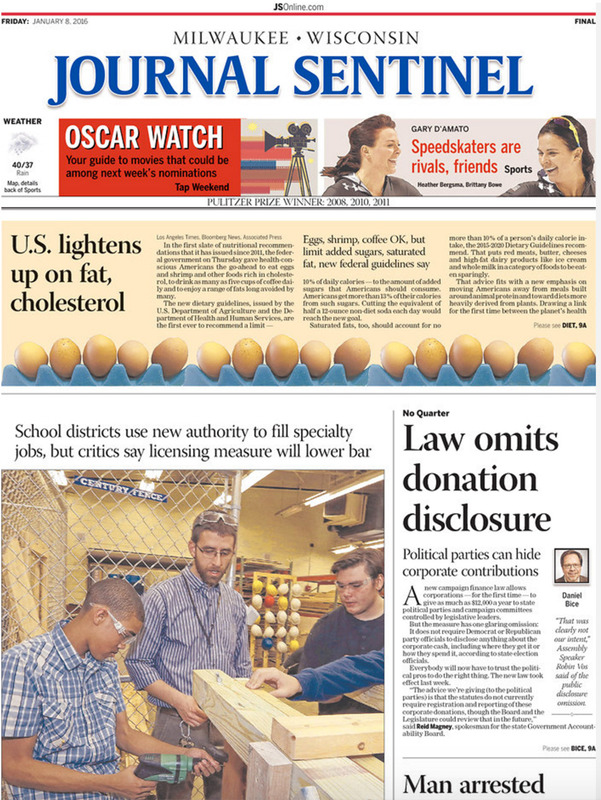 The corporate donation loophole made headlines in Wisconsin and elicited a pledge from Vos to work on a legislative fix, and competing interpretations of the law's disclosure requirements. Yet the feigned concern about transparency ignores how—thanks to Vos' campaign finance changes--most corporate spending in Wisconsin will remain entirely secret, even if corporate "segregated fund" contributions are publicly disclosed. That's because Wisconsin's new dirty election laws allow corporations to spend unlimited amounts on elections, in full coordination with candidates or political parties, and with zero public disclosure. A corporation's $12,000 donation to a political party's "segregated fund" is a mere drop in the bucket compared to the unlimited secret money that can now flow to the shadow "issue ad" committees legalized under the law. Under Wisconsin's new dirty election laws, a candidate can apparently form a nonprofit "dark money" group, operate it out of their campaign offices, and ask billionaires and corporations to contribute million-dollar checks, without any public disclosure—as long as the money is spent on ads that omit words like "vote for" or "vote against." That is pretty close to what the Walker campaign did during the 2012 recall elections, which led both Republican and Democratic prosecutors to launch the "John Doe" campaign finance probe. Last July, the Wisconsin Supreme Court shut down the investigation, despite the groups under investigation having spent $10 million electing the Court's conservative majority (and despite years of precedent indicating this conduct was illegal). After that, with support from Koch-backed groups, Walker's allies in the legislature rewrote the statutes to explicitly legalize this sort of coordination—and to allow candidates and parties to set up "shadow committees" that can accept unlimited, secret donations from any source, including corporations, and spend the funds on issue ads. Evidence uncovered during the John Doe probe provides a snapshot into the sort of secret corporate fundraising and spending that is now legal in Wisconsin. According to documents obtained by prosecutors, Walker offered CEOs a way to bypass the state's corporate donation bans by giving to his campaign's affiliated nonprofit Wisconsin Club for Growth, which he told donors "can accept corporate contributions and it is not reported." Devon Energy CEO Larry Nichols, for example, wrote a $50,000 check from the oil and gas company's corporate account to the Club. The donation was never publicly reported, and Devon Energy shareholders never knew or approved of their money being used to support Wisconsin Republicans. What's more, the CEO of the Florida-based mining company Gogebic Taconite—which sought to build an open-pit iron ore mine in a pristine area of Northern Wisconsin--secretly donated more than $700,000 to the Club. After winning the election, Walker made G-Tac's mine his top legislative priority. Yet the public and press had no knowledge of the G-Tac CEO's $700,000 in spending as the hotly-contested mining bill was being debated; the secret donations were more than 22 times the amount of disclosed contributions to candidates. There is no reason to think that Walker or any other candidate--from either party—will operate any differently in future elections, especially after this sort of conduct has been explicitly endorsed by the legislature and the state's highest court as protected "free speech." Even if Vos follows through on his promise to bring transparency to $12,000 corporate checks to party segregated funds, this amounts a drop in the bucket. Corporations that want to give more—or who want to do it secretly—can still do so, and almost certainly will.